Somewhere between 30 and 40 percent of all food ends up as food waste while 12.9 million kids are living in food-insecure homes, many of whom do not qualify for SNAP and other programs and get very little aid during the summer. It’s time we take a look at our most struggling communities. 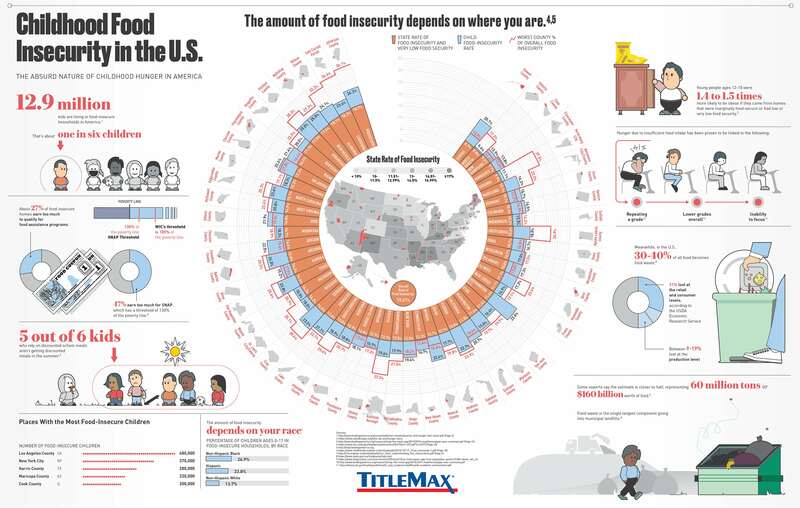 The following infographic from TitleMax.com takes a look at childhood food insecurity in the U.S.